In recent years, Special Olympics Illinois has seen an increase in the establishment of endowed funds. An endowed fund is created when a donor or the Board of Directors specify that a gift is to be invested and only the income earned on that gift may be spent for a specific purpose. The ILSO Foundation currently oversees five endowed funds, one which was just received in December. These funds will continue to grow and will be used to enhance the families program, improve the athlete experience and promote and support volunteer activities for Special Olympics Illinois. dedicated volunteer Margaret “Muffet” Flott, the family established this fund to help other Special Olympics Illinois families. Muffet became involved with Special Olympics Illinois in 1977. Sister of Special Olympics athlete Bill, Muffet was a devoted coach who believed that Special Olympics was an event for the entire family. The Flott Family established this fund to support families attending USA and World Games as well as additional family initiatives. This fund aims to give family members hope, optimism, stronger family connections and a social network with others who understand their concerns and joys. 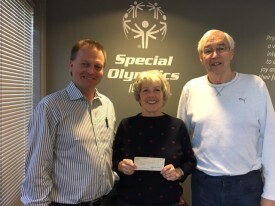 Mike & Sara Kuhlin Fund – Mike and Sara Kuhlin established this fund dedicated to promote and support volunteer activities within Special Olympics Illinois. Mike & Sara were long-time supporters and had a desire to fund volunteer activities. It is a planned gift, however Mike has supported annual operating and provided to the corpus of the volunteer fund. Mike is also a member of the Foundation Board. Breen Legacy Athlete Fund – The Breen Legacy Athlete Fund was established in 2014 in honor of SOILL President & CEO Dave Breen and as a memorial to his deceased parents, Robert and Anita Breen. This initiative was started by the Special Olympics Illinois Board of Directors and Foundation Board to pay tribute to the organization’s commitment to the athletes of Special Olympics Illinois. The purpose of this fund is to foster athlete experiences and opportunities through sport, leadership and recognition. Special Olympics Illinois athletes who have demonstrated excellence in sportsmanship, courage, leadership and teamwork and show financial need are eligible. Download the Breen Legacy Athlete Fund application. Dan & Anne Doheny Athlete Experience Fund – A recent gift was received from Dan and Anne Doheny who established this fund dedicated to athlete experience. Dan and Anne Doheny are long-time supporters of Special Olympics Illinois. Dan is a former Board Chair and current Chairman of the Foundation Board. The Athlete Experience Fund will allow for further participation of athletes for World and USA Games, plus national sports opportunities by providing funds for additional training and educational opportunities. The fund would further provide innovative and creative concepts to improve athlete experience and provide sustainable resources to reach more athletes. fund was created as a result of a gift from Robert Perkins of Perkins Investment Management and was given in memory of Marcy Parsons’ mother, Martha Stine. 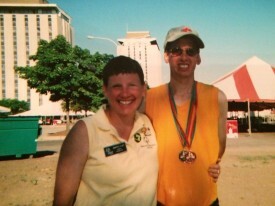 Marcy and Jerry Parsons are long-time Special Olympics Illinois volunteers. The money will go to the Foundation as an unrestricted gift and we have a 5-year commitment of $10,000 per year. Through the growth of these endowed funds, Special Olympics Illinois will continue to support in perpetuity the athletes, families and volunteers who see firsthand the transformations that can be made through participating in this program. If you would like to learn more about endowed funds to support Special Olympics Illinois, please contact Shon Morris or Dave Breen.